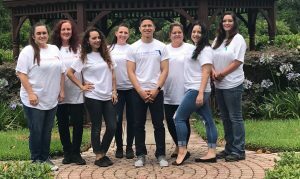 Dr. Dau and the staff of the North Tampa office of Orthodontic Specialists of Florida invite you and your family to join our family of patients. Our dedicated staff is ready to help you have an incredible smile, and we offer the most advanced orthodontic treatments available. Our mission is to give you exceptional value in orthodontics, which includes a comfortable patient experience and affordable treatments. We offer special financing through CareCredit® and our other lending partners, and you can pre-qualify before your first appointment. We offer silver, gold (24ct gold plated), clear and ceramic braces, as well as Invisalign®, at our North Tampa, Florida office. With more than 30 years of experience, Orthodontic Specialists of Florida is your home for orthodontic care. Our staff treats you like family, and our orthodontists work to help you feel confident and comfortable about all of your orthodontic treatment decisions, delivering an exceptional and valuable patient experience. Our practice is passionate about what we do, and strives to meet and exceed all of your expectations in the most up-to-date, state-of-the-art orthodontic offices available!